Dieting is difficult as it is without adding in the need to pay for diet tips and tricks to lose weight faster and in a healthier way. Everyone likes to get something free on occasion, and these diet tips are a perfect freebie that can help you on your journey to losing weight. Some of the tips might not apply to everyone, but overall they should be a huge boon to many people who are just now trying to lose weight and keep it off for good. 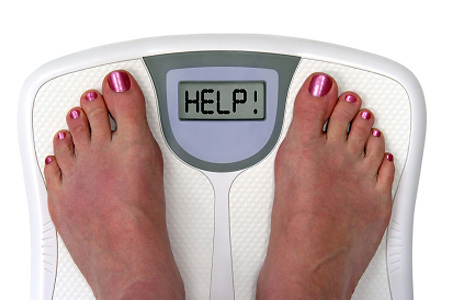 People need to determine what it is in their life that is causing them to be overweight. Genetics and overweight parents is an easy way out that many people use as their excuse, but it's not good enough. Examining the current lifestyle is enough to show people where the real problem lies. In many cases, people are simply eating too much of the wrong food. A single meal at a fast food restaurant can run several thousand calories. That is more calories than most people – except professional athletes – need to have in a single day. The athletes aren't eating fast food either! They are eating healthy calories. They need a high caloric intake because they are exercising so much. The other factor that people have to consider in their lifestyle is how much exercise they get. Those who get little to no exercise are going to be at a much higher risk of gaining weight. When coupled with unhealthy food, it's inevitable. It's easy to see that examining and changing lifestyle is the first thing that anyone who is overweight should do. Look through the cabinets and find all of the unhealthy food. Get rid of it. Send unopened goods to a charity. Throw away the opened food. If you have a problem with throwing away food that's still good – as many people in today's tight budgeted world do – don't worry. Eat it in moderation, but make sure that it's the last bit of junk food you have in the house for a long time. Go to the grocery store and start buying healthier items. Fresh fruit and vegetables, frozen vegetables, lean meats and low fat products are a great start. You can still have snacks, but you will want to limit them to raisins, nuts and the like. Carrot sticks are a good snack too. Many people don't have the money to join a health club today. If you can't find an affordable gym in your area, don't worry. You can still get exercise, but you have to be more creative. Find hiking trails or jogging trails in the area. Start walking and jogging. Perform calisthenics at home. Invest in some used fitness DVDs and work out in the living room. Whatever activity you enjoy, start doing it more often. The more exercise you get the better you will feel. Losing weight will come easier when you combine exercise and a healthy diet.